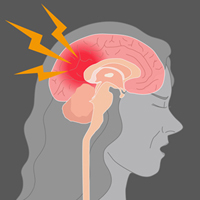 When an individual sustains a brain injury, his/her functioning in the world is frequently changed, depending on the location of the injury and the severity of the damage. Often the person's cognitive functioning has been affected and the personality altered. The permanence of these alterations cannot always be known. Personality and cognitive functioning before the injury are important factors to consider when evaluating the prospects for recovery. A neuropsychological evaluation can be useful in benchmarking a person's symptomology and working toward a plan of action as to what can be done next. A QEEG assessment may also be helpful in understanding how the injured person's brain is currently functioning and for developing a rehabilitation plan. As with any brain injury, people who have sustained blows or injuries to the head, either recently, or in the past, may experience a change in their ability to function in the world. In this case, a neuropsychological assessment would assist with determining the specific area of the brain affected to explain the symptoms and to help with planning how to manage symptoms and function more effectively. A QEEG adds additional information to the assessment because it provides an analysis of the brain's functioning at that moment in time. The QEEG analysis then provides a basis for treatment metrics to be determined if possible and also provides a benchmark against which treatment can be evaluated.